The aim of this research project is, carrying on from my blog, to show how sixteenth century music would have affected Shakespeare’s writing and also to show how Shakespeare is reinterpreted in the modern age. 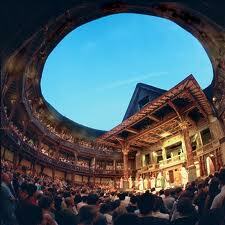 Firstly, I will look at Shakespeare as a playwright, the Globe Theatre and how music was used in his plays. Secondly I will look at how Shakespeare has been interpreted in today’s modern world. I will deal with the transformation and interpretation of Shakespeare whilst also looking at the special relationship Shakespeare has with music. Simply reading the text is not enough, to understand what Shakespeare was trying to ascertain it is important to see the play performed. Methods of teaching today force children in classrooms to read Shakespeare, naturally the children never grow to appreciate Shakespeare because they are forced to read something that was destined to be performed. For Shakespeare and the sixteenth century audience there was no better place to see the plays performed than the Globe Theatre. Built in 1599 by the Lord Chamberlain’s men (a theatre company) it subsequently burned to the ground in 1613 but work began rebuilding it on the same spot in 1614. 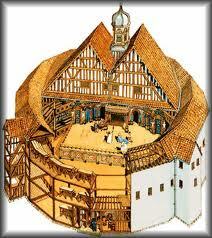 This open air theatre could hold up to three thousand spectators and was the home of Shakespeare’s plays. Shakespeare’s musical influences at the time included Robert Johnson, Olando Gibbons and William Byrd( who I will talk about in more detail later in this piece) These were classical composers who wrote music for both the voice and instruments. The instruments available to composers at the time were a little different to our modern ones. The sixteenth century orchestra consisted of four main groups: string, wind, percussion and keyboard; it did not have a brass section like our modern orchestras. The instruments were also different ranging from the Lute, Harp, Viols and Hurdy-Gurdy to the Sacbut, Lizard, Gemshorn and Hautboy. The instrument which I feel gives sixteenth century music it’s undeniable tone is the harpsichord: a keyboard instrument played similarly to a piano but which has a very distinct sound. William Byrd was a sixteenth century composer responsible for some of the most harmonious music of that century. Born in 1539, Byrd went on to have seven children. As well as being a composer he was an organist and a choir master. Among his highly acclaimed legacy is the noted ‘Ave Verum Corpus’; a piece that epitomises sixteenth century composition. This was the style of music that Shakespeare was hearing while writing his work; undoubtedly influencing him as ‘His fairies, His witches, and sometimes his ghosts, were especially associated with music’(Scholes 2). The three witches that feature in Macbeth are the most widely known example of Shakespeare directly creating musical characters. This tale, synonymous with Halloween, is once again suitably appreciated when performed. A dark Cave. In the middle, a Caldron boiling. Thunder. Witch 1: Thrice the brinded cat hath mew’d. Witch 2 : Thrice and once, the hedge-pig whin’d. Witch 3: Harpier cries:—’tis time! ’tis time! Boil thou first i’ the charmed pot! Although the playwright died in 1613 his legacy lives on. Having contributed so much to the plethora of English theatre, his work stands alone as the Sparkling gem of literature. Having been interpreted and reinterpreted throughout the ages shows the various intriguing influences and attributes of Shakespeare’s work. Even though there are hundreds of varying versions in the world one thing is for certain, Shakespeare’s work lives on as some of the paramount literature to date. Bate, Jonathan & Rasmussen, Eric, eds. William Shakespeare Complete Works London: Macmillan,2008. Scholes, Pery A. “The Purpose Behind Shakespeare’s use of Music” Proceedings of the Musical Association 43 (1916-17) 1-15.